Interior Features Ready to make your dreams come true? 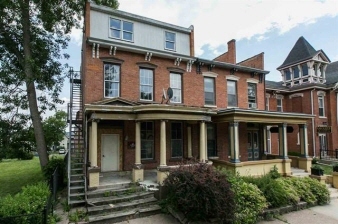 In the heart of downtown, walking distance to everything you will find, is this restoration project home. This was a fully rented triplex that has since been gutted and provides you with an open slate for restoration. You can make this an owner occupied duplex or a really nice single-family home.